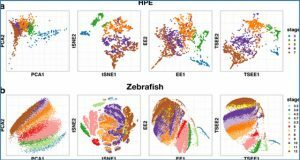 Single-cell RNA sequencing has recently emerged as a powerful tool for mapping cellular heterogeneity in diseased and healthy tissues, yet high-throughput methods are needed for capturing the unbiased diversity of cells. 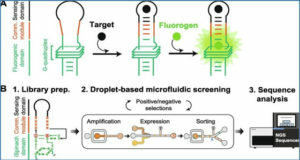 Droplet microfluidics is among the most promising candidates for capturing and processing thousands of individual cells for whole-transcriptome or genomic analysis in a massively parallel manner with minimal reagent use. Researchers at Vilnius University recently established a method called inDrops, which has the capability to index >15,000 cells in an hour. A suspension of cells is first encapsulated into nanoliter droplets with hydrogel beads (HBs) bearing barcoding DNA primers. 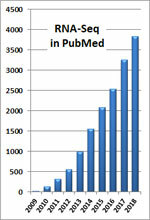 Cells are then lysed and mRNA is barcoded (indexed) by a reverse transcription (RT) reaction. 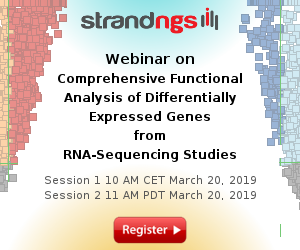 Here the researchers provide details for (i) establishing an inDrops platform (1 d); (ii) performing hydrogel bead synthesis (4 d); (iii) encapsulating and barcoding cells (1 d); and (iv) RNA-seq library preparation (2 d). 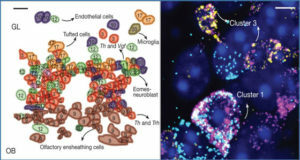 inDrops is a robust and scalable platform, and it is unique in its ability to capture and profile >75% of cells in even very small samples, on a scale of thousands or tens of thousands of cells. 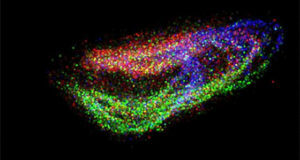 (a) Coencapsulation of cells, barcodes (delivered by hydrogel bead), and RT–lysis reagents into microfluidic droplets. 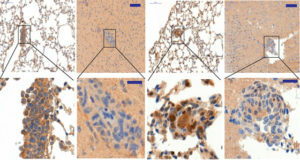 Red arrowheads show individual cells, and black arrows indicate flow direction. After the desired number of cells is collected, barcoding primers are released from hydrogel beads by photocleavage to initiate reverse transcription of mRNA. Scale bars, 100 μm. (b) Schematic of single-cell transcriptome barcoding in drops. 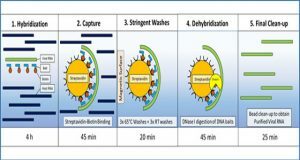 After cell and hydrogel bead encapsulation, the barcoding cDNA primers are released from the beads using >350-nm UV light (which is not damaging to DNA/RNA), followed by mRNA capture and reverse transcription. 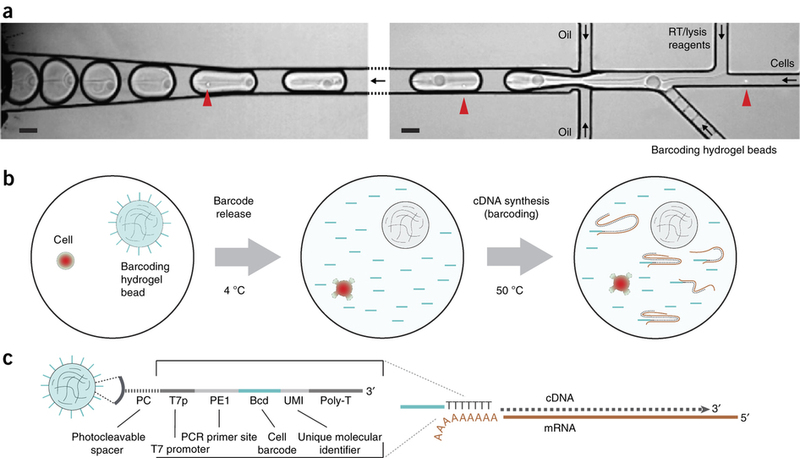 (c) Schematic of barcoding cDNA primers attached to hydrogel beads. mRNA is brown and cDNA is the gray dashed line.